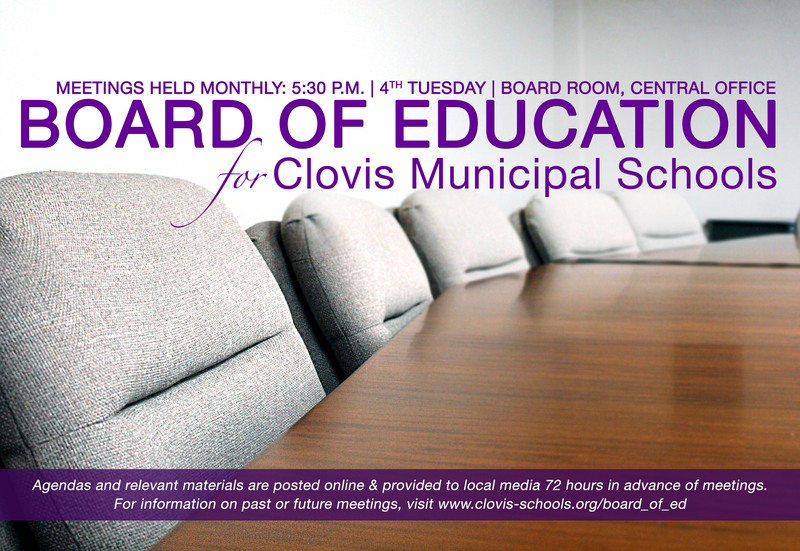 Regular meetings are held every 4th Tuesday of the month at 5:30 pm, at Clovis Municipal Schools District Board Room, 1009 Main St., Clovis, NM 88101. Scroll below to browse Board Meetings. Click on folder dates to view contents. Note: The supporting documents are listed in each folder.